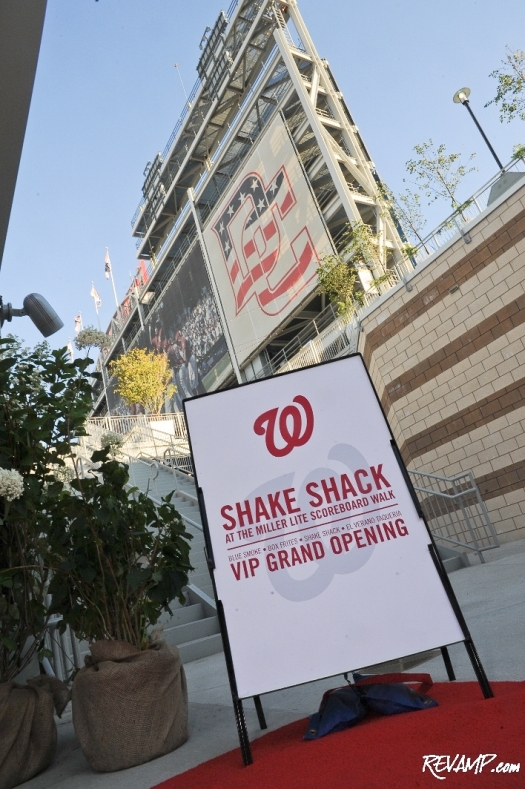 Danny Meyer �Shake Shacks� Things Up At The Newly Refreshed Miller Lite Scoreboard Walk At Nats Park! 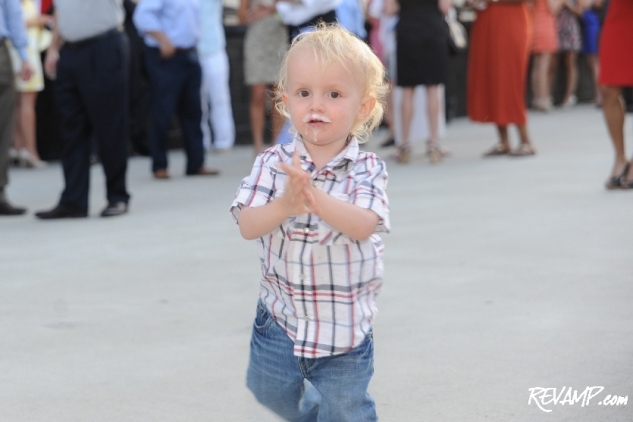 Be sure to check out all 50 of our photographs from this event HERE! SOUTHEAST -- When the Nats take the field this evening against the St. Louis Cardinals, the smell of hotdogs at the ballpark will face newfound competition from the likes of Black Angus burgers, pulled pork, tacos, and thick-cut Idaho fries, as the newly refreshed Miller Lite Scoreboard Walk at Nationals Park reveals itself to fans for the first time, with a bevy of new gourmet eateries courtesy of Union Square Hospitality Group (USHG). Shake Shack: A nod to the original Madison Square Park location, Shake Shack at the Park will serve-up signature all natural ShackBurgers, all beef Shack-cago Dogs, and hand-spun frozen custard and milkshakes. Blue Smoke: Another NYC import, this real pit barbeque joint will make everything from pulled pork and barbequed beef bologna sandwiches to Kansas City spare ribs available to foodies. El Verano Taqueria: An authentic Mexican taqueriea with a tin roof and goose neck lighting, this restaurant will satisfy the south-of-the-border cravings of any hungry Washingtonian, with chicken mole, slow-cooked pork, and grilled sliced skirt steak taco platters, as well as the requisite chips and salsa. Box Frites: Drawing from modern European design, this spud heaven will offer boxes of thick-cut Idaho potato French fries (frites), with a host of signature sauces, including chipotle ketchup, ballpark mayo, smoke bacon aioli, blue cheese, and rosemary ranch. 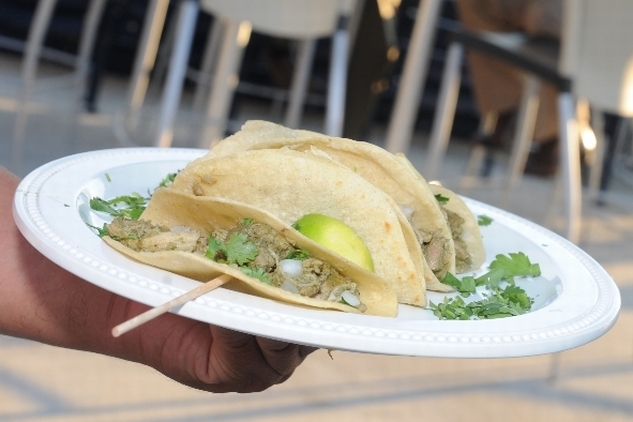 A premium �Garlic-Parmesan� seasoning will also be up for grabs! 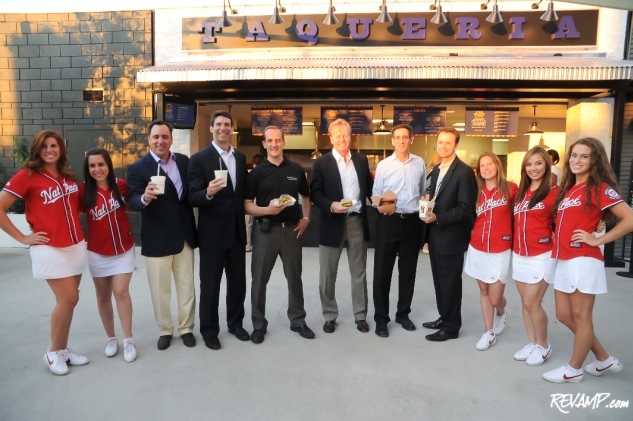 (L-R) Nationals COO Andy Feffer, USHG President Jeff Flug, Shake Shack COO Randy Garutti, Shake Shack CEO David Swinghamer, Blue Smoke Managing Partner Mark Maynard-Parisi, and USHG Events Managing Director of Business Development Ron Parker are flanked by members of the Nat Pack. 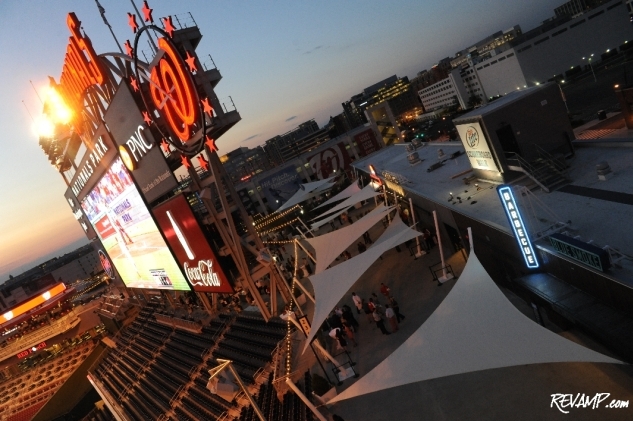 With so many gourmet menu options from which to choose, coupled with the addition of a new 15-foot by 25-foot HDTV screen behind the scoreboard, and a new 4,000-squarefoot garden area (including synthetic turf floor designed to evoke memories of the game�s backyard origins), the Nats and USHG are hoping that fans will make Scoreboard Walk a new pre-game ritual. Helping fuel such interest, the Park will offer a special Scoreboard Pavilion seat ticket for $20 ($22 for prime games), including a free drink voucher, on Thursdays, Fridays, and Saturdays. For all remaining home games this season, $5 happy hour beer specials will also be made available 2.5 hours prior to the scheduled first pitch. 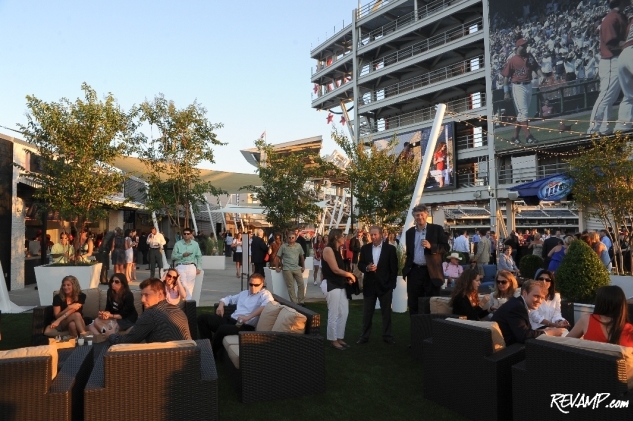 The 14 crisp, white shade sails suspended above the Walk (and which were designed specifically for the Nationals) will reduce ambient temperature up to 20-degrees and provide fans with protection from up to 93.7% of the sun�s UV rays. All of the under plantings on the Walk are herbs, which naturally attract butterflies, and will give off an herbal scent when in bloom from May to November. 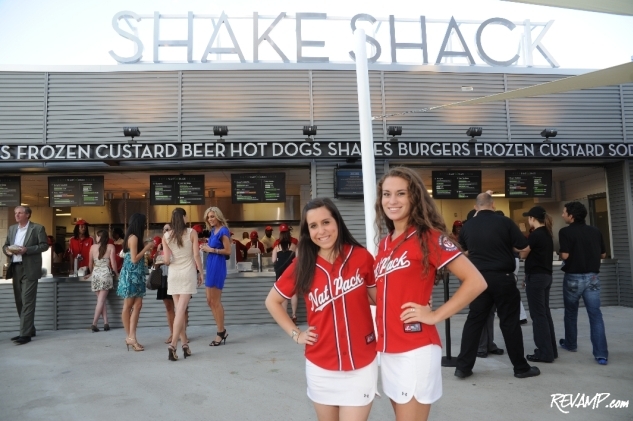 Did we mention the ShackBurgers and frozen custard? 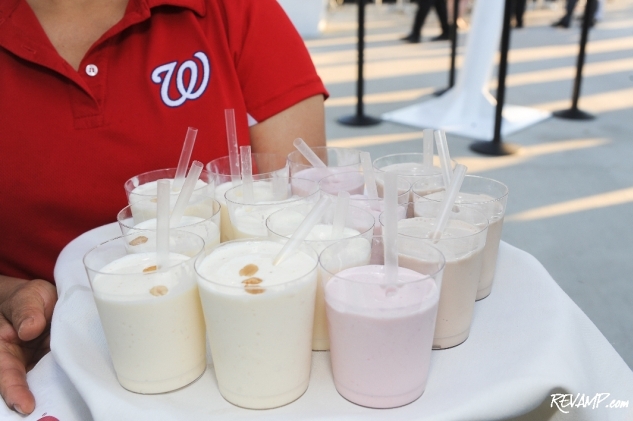 Milkshake mustaches and smiles come more easily to some Nats fans!